Today I did some serious programming, dabbling, playing (OK, I admit it!) with the Empirbus configuration file. In the saloon their is a plate with three switches. The top switch is now in the middle and the middle is at the bottom. The bottom button is at the top. This makes the layout more logical as the top button now works the saloon lights; the middle the TV aerial amplifier and the bottom the satellite dome. 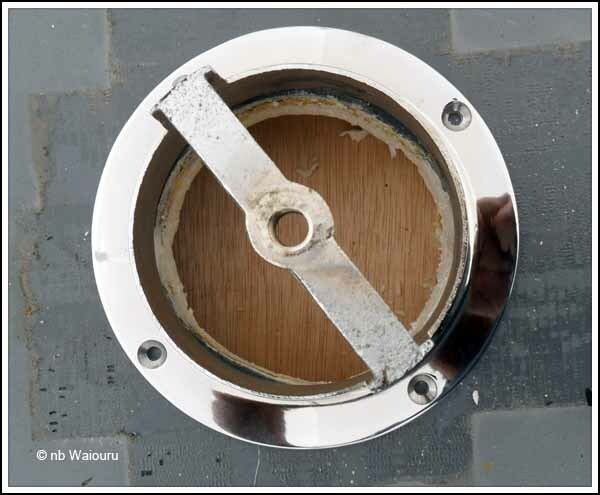 Also, the galley and saloon light buttons on the galley panel have been reversed. All done on the keyboard from my chair without physically moving one wire. The physical stuff was done on the roof. From this point onwards I’m going to explain how the mushroom vents were fitted so if that bores you you can stop reading now! Andy cut the hole in the roof because I blunted “stuffed up” the blade of the jigsaw when I attempted it. After watching his technique I think I know how it’s done. If anyone needs a hole in their steel roof then I need the practice. No guarantee given on the result! 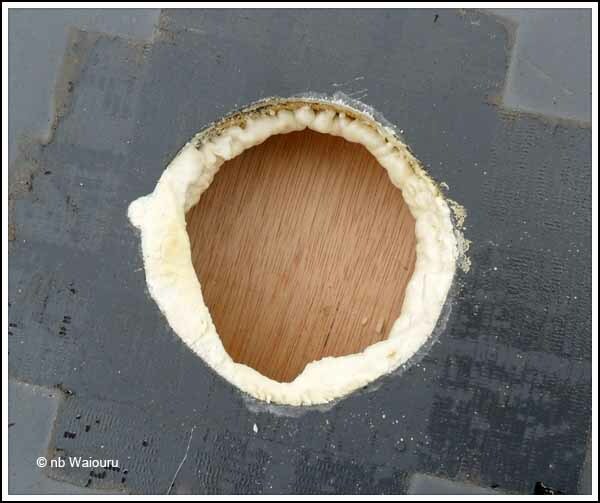 The first job was to clear away the foam from the edge of the hole. This time I was careful not to break the blade of my trusty Leatherman. 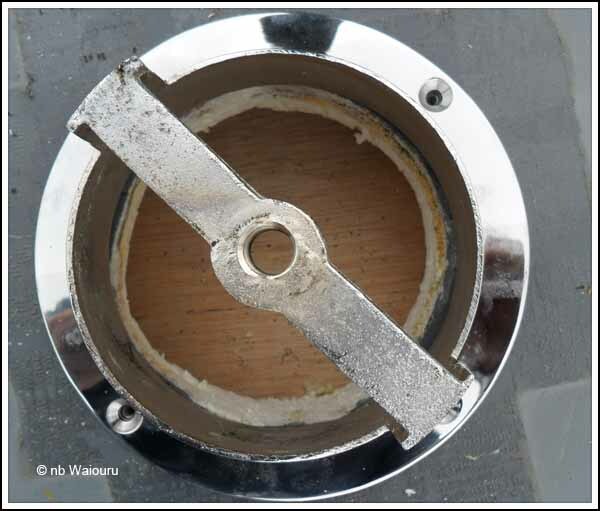 Once the hole was cleaned I placed the base of the mushroom vent over the hole and carefully aligned it so the hole in the base of the vent covered the hole in the roof. 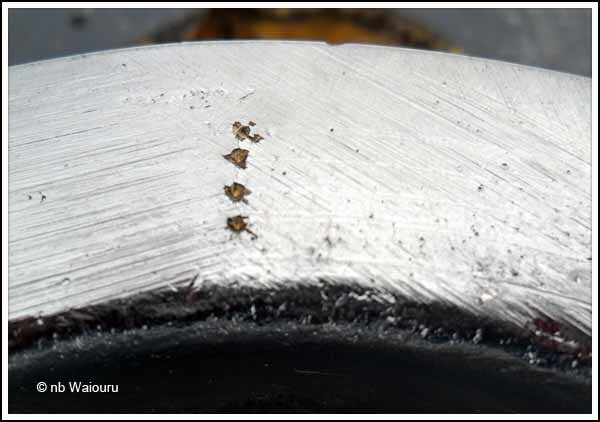 A line was drawn around the circumference of the base using a sharp pencil. 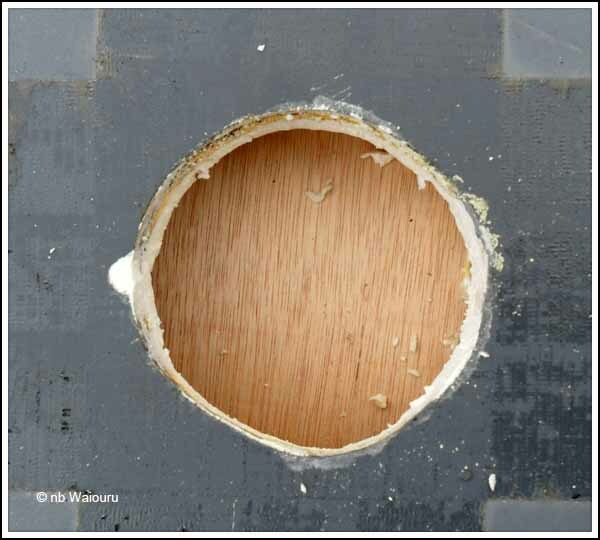 Then each screw hole was marked with the pencil. The base was then flipped over and a hole punch used to mark the numbered sequence of the vent from the bow. 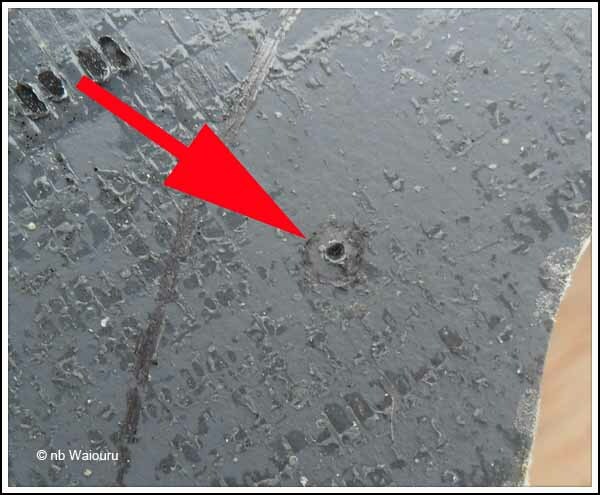 The punch mark also indicates the leading direction of the vent. 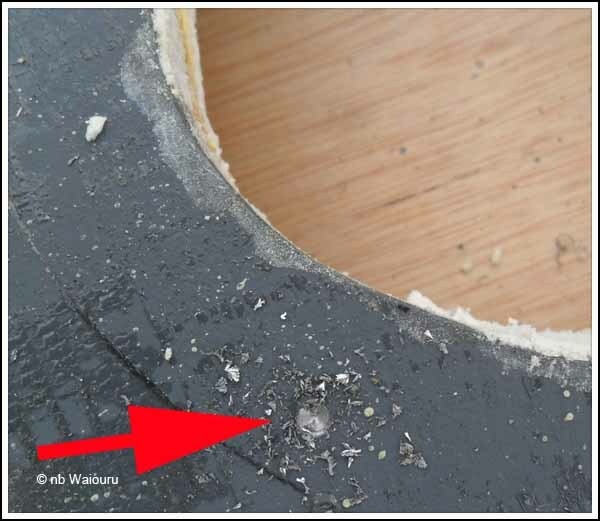 Four hole punch marks means it’s the 4th vent from the bow. 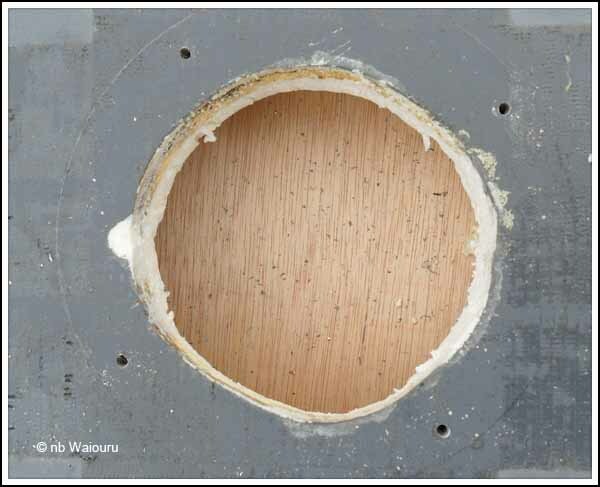 Once all four pilot holes were drilled a 4.5mm bit was used to enlarge the holes. The holes are now the right size to thread with a 5mm tap. This was done using my battery drill and some cutting paste. The drill was on a very slow speed and I reversed the direction of the tap twice whilst threading each hole so as to clear the hole of shards of steel. 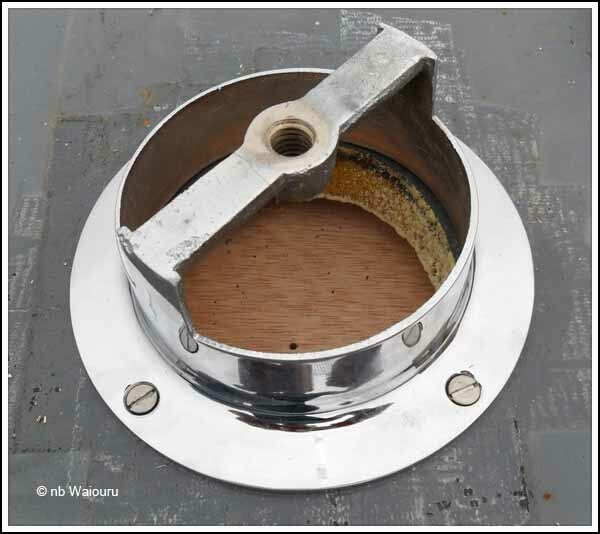 With all four holes drilled and threaded in exactly the right location the mushroom vent base was secured to the roof with 5mm countersunk stainless steel screws. The vent was then unscrewed and placed back into it’s cardboard box. They won’t go back onto the roof of Waiouru until after she has been painted. 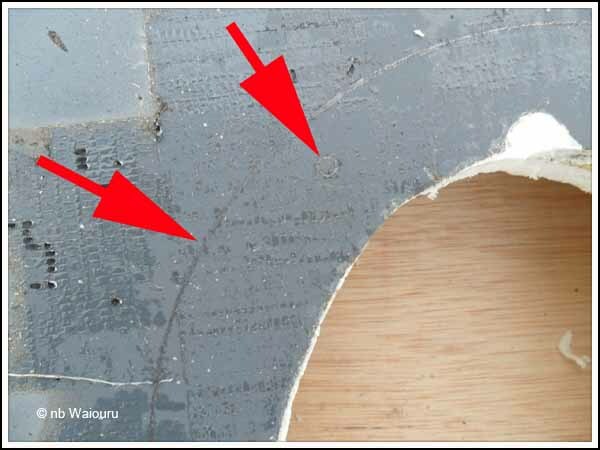 This is why each of the vents had a punch mark on it’s base to indicate its direction and sequence. Of course next time the base of each vent will have some sealant applied before being screwed down. Waiouru has 5 mushroom vents. The minimum required number is three. However the vent in the shower which has the extractor fan cannot be counted in the calculation. 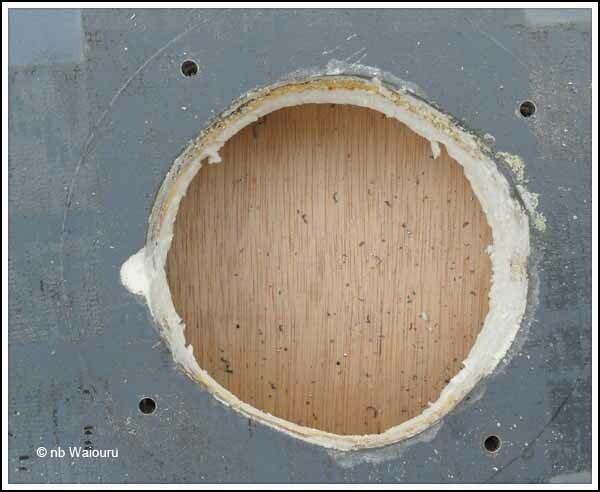 The 5th vent is a “dummy” to cover the hole the last builder cut in the room IN THE WRONG PLACE! He cut it directly over the joint between the bedroom and bathroom bulkheads. Tomorrow the plan is to install the bilge pump in the engine bay.